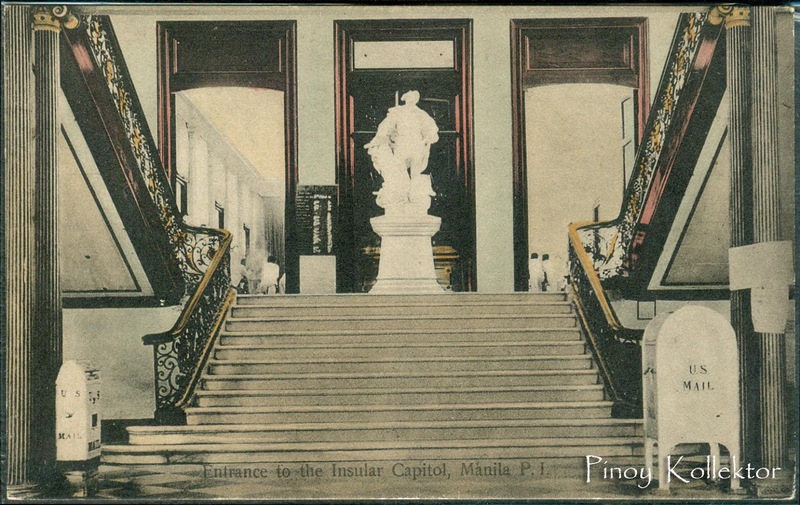 Colonized for more than 300 years by the Spaniards, Ayuntamiento was adopted as the name of the building. The Spanish word means City, as the structure once housed the City Hall of Manila. The first structure, built on 1599, is considered by many historians, although with limited resources available, made of wood and /or concrete. 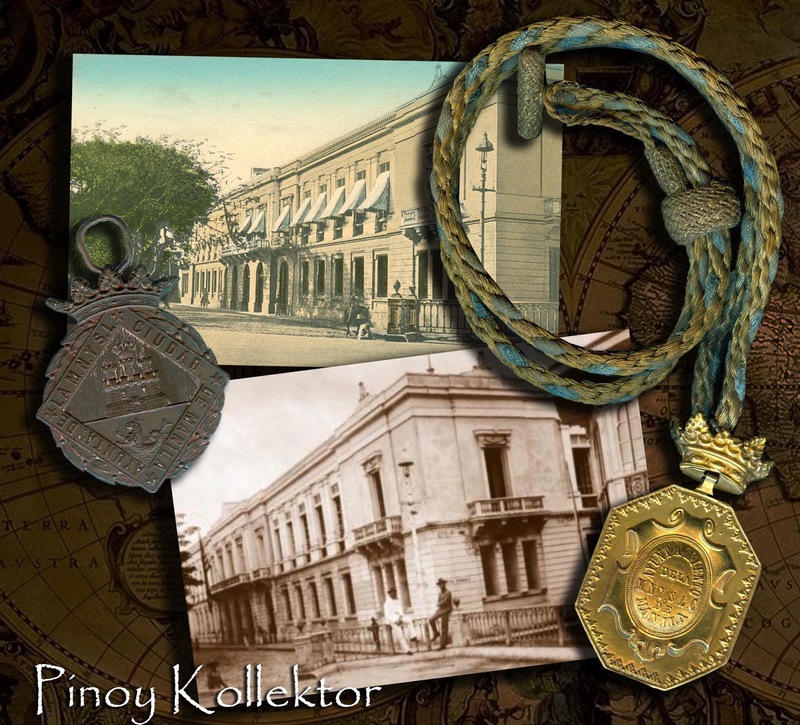 Although Governor General Legazpi had mapped out the site no structure was built until the incumbency of Governor General Francisco Tello. In Antonio de Morga’s Sucesos de las Islas Filipinas, published in 1607, the building is described as “made of cut stones, monumental, and pleasing. The first floor housed the courts and jail; the second the administrative offices, a chapel, and archives”. Philippines decorated for the July 4th celebration. On 31 January 1735, the corner stone for a second building was laid. Completed in 1738, this building survived well into the 19th century when the 3 June 1863 earthquake damaged it heavily. 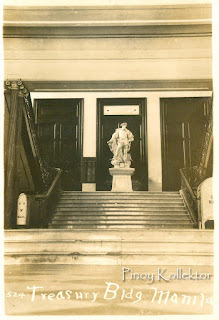 The third restoration revised the building structure into a neo-classical style. 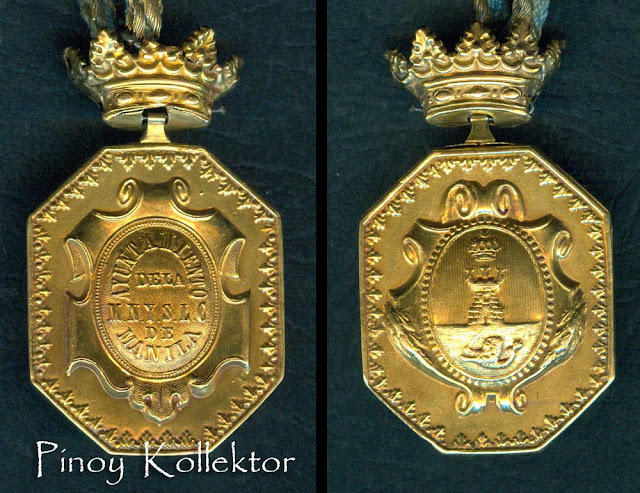 The design was based on the original one made by Eduardo Lopez Navarro, who was then in charge of public works undertaken in Manila. The project started on 29 April 1879 after six years of waiting for the approval to construct it. However, the construction was stopped temporarily in 1880 due to a strong earthquake which required revision of the design to consider the safety of the building. The Grand Staircase inside the Ayuntamiento de Manila. This 18th century building is documented by a painting by Karuth, an engraving, an elevation plan, and a photograph of it in ruins. The second Ayuntamiento had a central clock tower above its façade and two symmetrical wings. Bulbous wrought iron balconies decorated the second story and a covered arcade characterized the first floor. Navarro’s plans were revised to make them more structurally sound and in 4 April 1881 work continued. 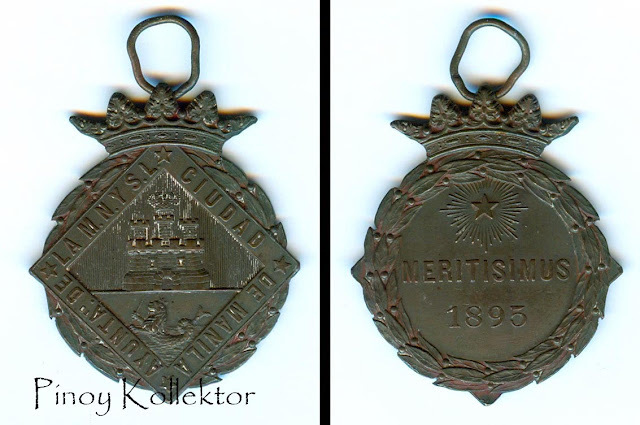 Another stoppage occurred on 21 March 1885. Juan Hervas was commissioned to redesign the vestibule. Cabildo Street, fronting Plaza de Roma in Intramuros, Manila, Philippines. Navarro planned the third Ayuntamiento in the Neo-classical idiom, opting for severity and well-proportioned members. The quadrilateral structure was built around an atrium. 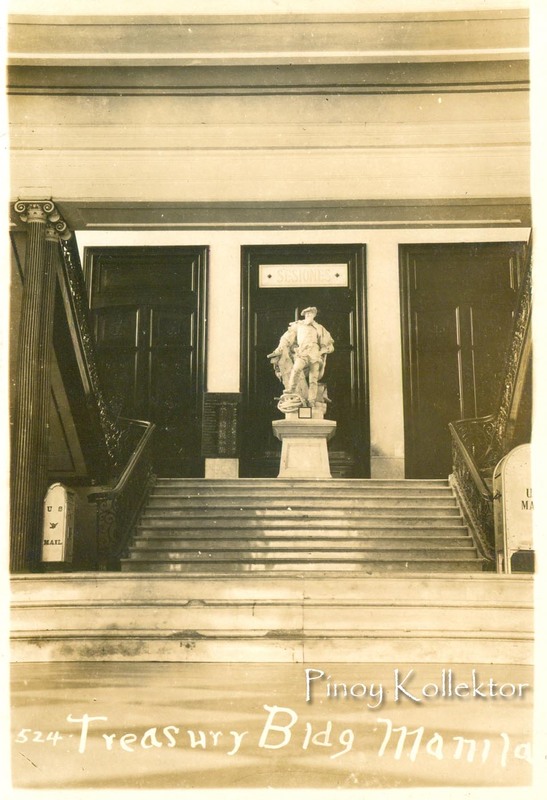 Hervas’s renovated vestibule had a harlequin floor of black and white marble, an elegant staircase decorated with a wrought iron balustrade. The present structure is the restoration of the third one. Revitalizing its ancestral and artistic architectural feature, it restored the Vestibule, the Grand staircase, the Salon de Fiestas y Actos Publicos or the Marble Hall, and the Sala de Sesiones. In the 20th century, the Ayuntamiento earned the sobriquet “Marble Palace,” because of its generous use of this material. 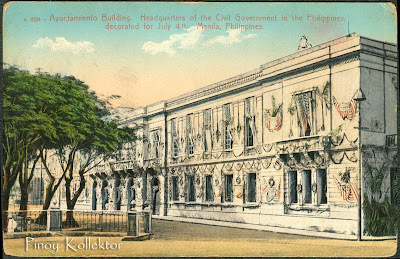 Architect Javier Galvan of the Instituto Cervantes once remarked that Ayuntamiento de Manila is probably the most beautiful building of Manila during the Spanish Era. The design of the Ayuntamiento is inspired by the combination of other noteworthy structure abroad. The second level, five door façade of the building is inspired Palazzo Caprini or the House of Raphael in Borgo, Vaticano. While the canopied ground floor windows is inspired by the Palazzo Farnese in Rome. 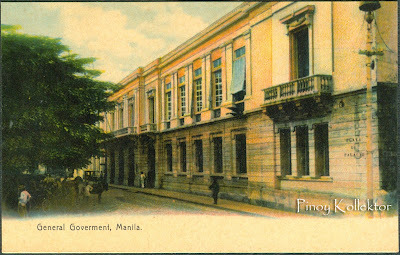 The Ayuntamiento was the ancestral house of the Executive, Legislative and Judiciary branch of the country. 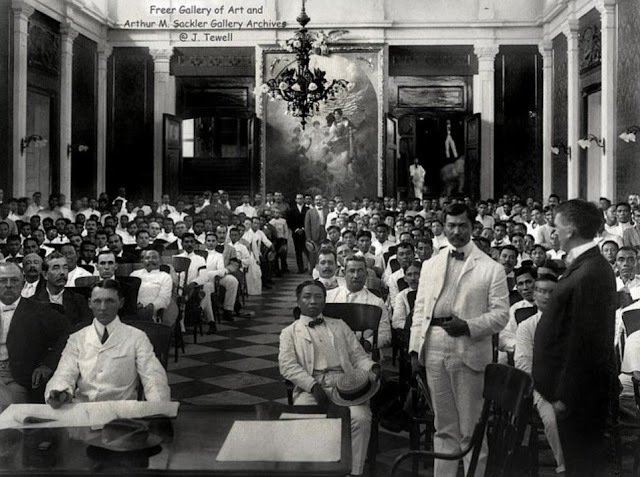 It was used as the meeting place for the Philippine Assembly that convened in 1907, and the Marble Hall was the Session Hall of the first Philippine Congress. Also on December 30, 1912, the urn bearing the National Hero Jose Rizal’s remains was placed for a funeral and lying-in-state in the Marble Hall before being brought to Luneta Park. 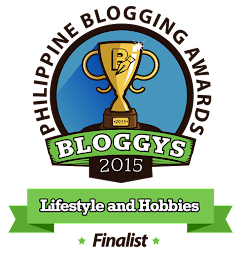 The Sala de Sesiones was the Session Hall of the Cabildo or the City Council of Manila. After over 200 years, the City Hall transferred to another site. And this was later used as the Office of the Spanish and American Governors General, the Chief Executive of the Philippine archipelago. 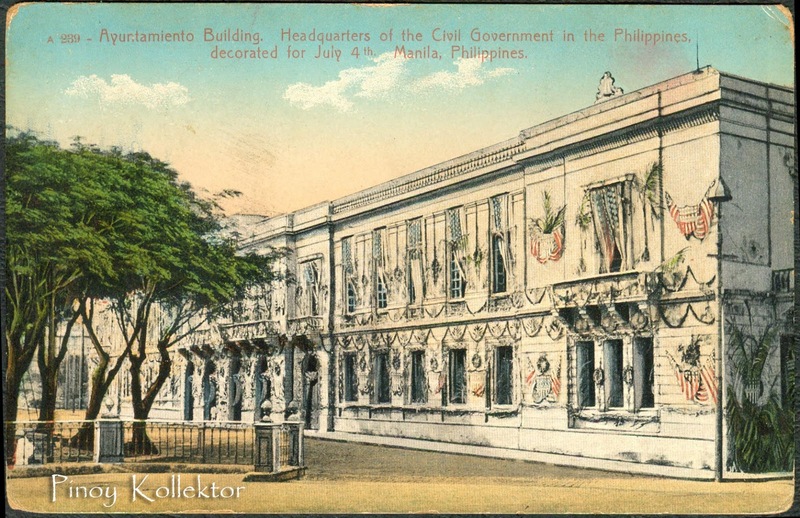 When our Congress became bicameral, the new Senate held its Session at this Hall, while the Lower House remained at the Marble Hall. 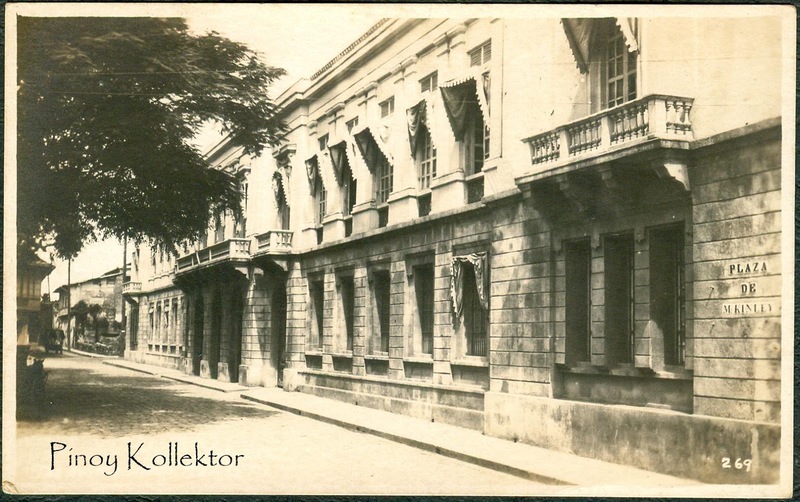 When a separate Legislative Building was constructed near the new City Hall of Manila, both houses transferred to the new site and this Hall became the Session Hall of the First Supreme Court.